Barcelona. Mercado de la Boquería, un baño de color. 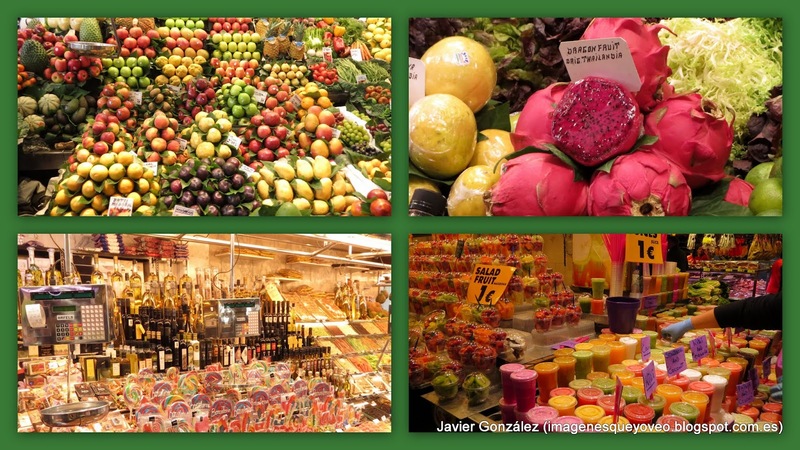 The first thing you see when entering the Mercado de San Josep in Barcelona, known as the Boqueria market, is a spectacle of color. All colors of the fruits together invade you and also you feel that a color you can see it and drink it. The crowd around looking for a intense color to drink. Tropical fruits, unknown to us, provide the most impossible and vivid colors. The colors here fulfill its mission as in the flowers to pollinate in the spring. In the Boqueria market throughout the year is Spring.